Talk about coming out of nowhere! 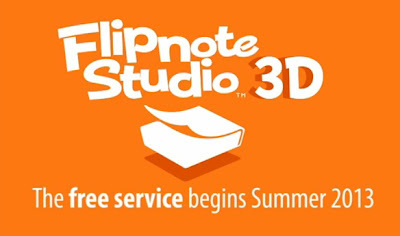 With a Nintendo Direct Mini, Nintendo finally made the official announcement for Flipnote Studio 3D, and it has brought with it some controversy (honestly can't say I expected that). You can watch the video after the jump. Not only can you create animations with multiple colors, but you can also create them in 3D. However, if you want to use the worldwide gallery, you either have to pay a monthly fee or wait until certain times of the day when it will be free. This doesn't mean you have to pay to upload your animations like you normally could, you just won't have access to the whole world. Unless, of course, you make good animations. Certain "skilled artists" will have their subscription fees waived. I will still be downloading this the instant it is available. That way I can unleash my horrible drawing skills upon North America (I'm not paying any subscription fees for other countries! ).